The BREEZE-5s2-104 is a 4K H.265 4 channel plug & play Network Video Recorder (NVR) that incorporates an 4 port PoE switch. It has a powerful embedded dual-core processor providing up to 8 megapixel / 4K resolution per channel and a global recording capacity of 80Mbps.The BREEZE-5s2-104 has H.265 Compression (High Efficiency Video Coding) as standard, H.265 was developed to improve HDD storage requirements and reduce bandwidth consumption for new higher resolutions such as 4K. For example, at an identical level of visual quality the H.265 codec enables video to be compressed to a file about half the size (or half the bit rate) of H.264.BREEZE technology removes the complex IP setup by automatically configuring the IP cameras in less than 2 minutes upon boot up. This is achieved by integrating a PoE switch into the NVR which also powers the IP cameras over the same cable.The BREEZE-5s2-104 is housed in a 1U desktop case with 1 internal SATA port. It comes with 4K (3840x2160) HDMI & VGA video outputs and supports backup methods via USB & network. This recorder is provided license free, Onvif compatible and supports various 3rd party IP camera vendors. The BREEZE-5s2-108 is a 4K H.265 8 channel plug & play Network Video Recorder (NVR) that incorporates an 8 port PoE switch. It has a powerful embedded dual-core processor providing up to 8 megapixel / 4K resolution with a global recording capacity of 80Mbps. The BREEZE-5s2-108 has H.265 Compression (High Efficiency Video Coding) as standard, H.265 was developed to improve HDD storage requirements and reduce bandwidth consumption for new higher resolutions such as 4K. For example, at an identical level of visual quality the H.265 codec enables video to be compressed to a file about half the size (or half the bit rate) of H.264.BREEZE technology removes the complex IP setup by automatically configuring the IP cameras in less than 2 minutes upon boot up. This is achieved by integrating a PoE switch into the NVR which also powers the IP cameras over the same cable.The BREEZE-5s2-108 is housed in a 1U desktop case with 1 internal SATA port. It comes with 4K (3840x2160) HDMI & VGA video outputs and supports backup methods via USB & network. This recorder is provided license free, Onvif compatible and supports various 3rd party IP camera vendors. The Breeze-6s-108 is the first Lite series NVRs which can support 4K andH.265. And, it has the most reasonable price and best quality. This LiteNVR provides up to 8MP resolution. For applications where details arecritical for identification, it provides a powerful image performace withup to 4K resolution. Additionally, the NVR features a mouse shortcutoperation menu, remote management and control, centre storage, edgestorage, and back up storage.Designed as a cost-effective, easy installation, this NVR is ideal for awide range of applications such as public safety, water conservancy,transportation, city centers, education, and financial institutions.The NVR is compatible with numerous third-party devices making itthe perfect solution for surveillance systems with or without a videomanagement system (VMS). Its open architecture supports multi-useraccess and is compatible with ONVIF 2.4, enabling interoperability whencombined with IP cameras. The BREEZE-6s-208 is a 4K H.265 8 channel plug & play Network Video Recorder (NVR) that incorporates an 8 port PoE switch. It has a powerful embedded quad-core processor providing up to 8 megapixel / 4K resolution per channel and a global recording capacity of 200Mbps.The BREEZE-6s-208 has H.265 Compression (High Efficiency Video Coding) as standard, H.265 was developed to improve HDD storage requirements and reduce bandwidth consumption for new higher resolutions such as 4K. For example, at an identical level of visual quality the H.265 codec enables video to be compressed to a file about half the size (or half the bit rate) of H.264.BREEZE technology removes the complex IP setup by automatically configuring the IP cameras in less than 2 minutes upon boot up. This is achieved by integrating a PoE switch into the NVR which also powers the IP cameras over the same cable.The BREEZE-6s-208 is housed in a 1U desktop case with 2 internal SATA ports. It comes with 4K (3840x2160) HDMI & VGA video outputs and supports backup methods via USB & network. This recorder is provided license free, Onvif compatible and supports various 3rd party IP camera vendors.For remote monitoring and ARC integration this product also has 4 alarm inputs and 2 alarm outputs. When used with compatible IP cameras the NVR can also receive and setup analytical rules such as tripwire, intrusion zones etc. The BREEZE-6s-216 is a 4K H.265 16 channel plug & play Network Video Recorder (NVR) that incorporates an 16 port PoE switch. It has a powerful embedded quad-core processor providing up to 8 megapixel / 4K resolution per channel and a global recording capacity of 200Mbps.The BREEZE-6s-216 has H.265 Compression (High Efficiency Video Coding) as standard, H.265 was developed to improve HDD storage requirements and reduce bandwidth consumption for new higher resolutions such as 4K. For example, at an identical level of visual quality the H.265 codec enables video to be compressed to a file about half the size (or half the bit rate) of H.264.BREEZE technology removes the complex IP setup by automatically configuring the IP cameras in less than 2 minutes upon boot up. This is achieved by integrating a PoE switch into the NVR which also powers the IP cameras over the same cable.The BREEZE-6s-216 is housed in a 1U desktop case with 2 internal SATA ports. It comes with 4K (3840x2160) HDMI & VGA video outputs and supports backup methods via USB & network. For remote monitoring and ARC integration this product also has 16 alarm inputs and 4 alarm outputs. When used with compatible IP cameras the NVR can also receive and setup analytical rules such as tripwire, intrusion zones etc. The BREEZE-6s-432-16P is a 4K H.265 32 channel plug & play Network Video Recorder (NVR) that incorporates an 16 port PoE switch. It has a powerful embedded quad-core processor providing up to 8 megapixel / 4K resolution per channel and a global recording capacity of 200Mbps.The BREEZE-6s-432-16P has H.265 Compression (High Efficiency Video Coding) as standard, H.265 was developed to improve HDD storage requirements and reduce bandwidth consumption for new higher resolutions such as 4K. For example, at an identical level of visual quality the H.265 codec enables video to be compressed to a file about half the size (or half the bit rate) of H.264.BREEZE technology removes the complex IP setup by automatically configuring the IP cameras in less than 2 minutes upon boot up. This is achieved by integrating a PoE switch into the NVR which also powers the IP cameras over the same cable.The BREEZE-6s-432-16P is housed in a 1.5U rack mount case with 4 internal SATA ports. It comes with 4K (3840x2160) HDMI & VGA video outputs and supports backup methods via USB, Internal Burner & network.This recorder is provided license free, Onvif compatible and supports various 3rd party IP camera vendors. For remote monitoring and ARC integration this product also has 16 alarm inputs and 4 alarm outputs. When used with compatible IP cameras the NVR can also receive and setup analytical rules such as tripwire, intrusion zones etc. The BREEZE-7s-224 is a 12MP H.265 24 channel plug & play Network Video Recorder (NVR) that incorporates an 24 port PoE switch with a global 210 Watts of power for powering IPCs. It has a powerful embedded quad-core processor providing up to 12 megapixel resolution per channel and a global recording capacity of 320Mbps.The BREEZE-7s-224 has H.265 Compression (High Efficiency Video Coding) as standard, H.265 was developed to improve HDD storage requirements and reduce bandwidth consumption for new higher resolutions such as 4K. For example, at an identical level of visual quality the H.265 codec enables video to be compressed to a file about half the size (or half the bit rate) of H.264.IC Realtime BREEZE range of recorders incorporate PoE Switches for camera integration into the recorder. This helps speed up installation time as well as keeping the IP Cameras on a separate network to that of the main LAN network card making the IP Cameras secure from your main network..The BREEZE-7s-224 is housed in a 1U (440mm x 419.96mm) rack mount case with 2 internal SATA ports. It comes with 4K (3840x2160) HDMI & VGA video outputs and supports backup methods via USB & network. This recorder is provided license free, Onvif compatible and supports various 3rd party IP camera vendors. The BREEZE-7s-424 is a 12MP H.265 24 channel plug & play Network Video Recorder (NVR) that incorporates an 24 port PoE switch with a global 210 Watts of power for powering IPCs. It has a powerful embedded quad-core processor providing up to 12 megapixel resolution per channel and a global recording capacity of 320Mbps. The BREEZE-7s-424 has H.265 Compression (High Efficiency Video Coding) as standard, H.265 was developed to improve HDD storage requirements and reduce bandwidth consumption for new higher resolutions such as 4K. For example, at an identical level of visual quality the H.265 codec enables video to be compressed to a file about half the size (or half the bit rate) of H.264.IC Realtime BREEZE range of recorders incorporate PoE Switches for camera integration into the recorder. This helps speed up installation time as well as keeping the IP Cameras on a separate network to that of the main LAN network card making the IP Cameras secure from your main network.The BREEZE-7s-424 is housed in a 1.5U rack mount case with 4 internal SATA ports, storage can be extended with the use of our eSATA extenral storage device (eSATA-1s-8). It comes with 4K (3840x2160) HDMI & VGA video outputs and supports backup methods via USB, eSATA & network. This recorder is provided license free, Onvif compatible and supports various 3rd party IP camera vendors.For remote monitoring and ARC integration this product also has 16 alarm inputs and 6 alarm outputs. When used with compatible IP cameras the NVR can also receive and setup analytical rules such as tripwire, intrusion zones etc. The SIROCCO-5s-464 is a 12MP/4K H.265 64 channel Network Video Recorder. It has a powerful quad-core processor providing up to 12 megapixel resolution. The STORM-2s-832 is a 32 Channel Professional Grade RAID Network Video Recorder. It incorporates Intel Embedded Processors providing 12 MegaPixel resolution support. The STORM-3s-864 is a H.265 64 Channel Enterprise Hot Swap RAID Network Video Recorder. It has Intel Embedded Quad Core Processors providing 12 MegaPixel. 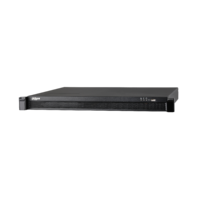 The STORM-3s-864-R is a H.265 64 Channel Enterprise Hot Swap RAID Network Video Recorder. It incorporates Intel Embedded Quad Core Processors providing 12 MegaPixel resolution support. The STORM-3s-1664 is a H.265 64 Channel Enterprise Hot Swap RAID Network Video Recorder. It incorporates Intel Embedded Quad Core Processors. The STORM-3s-16128 is provided license free, ONVIF Compatible and supports various 3rd party IP Camera Vendors. UNV 1080P 4 Channel Support Ultra 265/H.265/H.264 video formats with 4-channel input. Plug & Play with 4 independent PoE network interfaces. UR-NVR301-04-P4-1T Support Ultra 265/H.265/H.264 video formats. HDMI and VGA simultaneous output with 4/8/16-channel input.